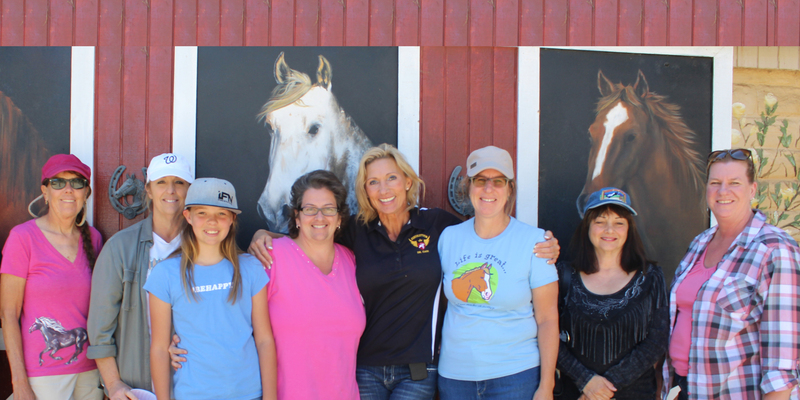 The Team – Equolution – All the Equine Science w/o All the drugs! YOU and your Equolution(R) horse health practitioner are the most important team around your horse. On our end at Equolution company, we are a small and personable team of horse loving professionals. Our family consists of product developers, formulators, state-licensed Veterinarians in practice, Veterinarians and nutritionists in research and of course our customer service and -sales team. Email us at support@equolution.com or call 855-409-8500. Equolution(R) follows the principle of “Kaizen” which represents ‘constant and steady improvement’. We are humans here too and appreciate any kind of feedback, so we can help you with your horse even better. Veterinarians, scientists as well as Equestrians from various disciplines contribute their ideas and feedback as Equolution’s board of advisors so we can serve you with the best solutions available. The word Equolution(R) is derived from the words Equestrian Evolution. Equolution(R) is a natural foundational method to restore health in horses. Through the use this method, Equestrian can evolve on their path by learning how to keep (and get) their horses healthy with nutrition, natural supplements and management. With its origins going back to 1967, the method EQUOLUTION(R) was fine-tuned twenty years later by German Veterinarian and Nutritionist Dr. Gabriele Gross, PhD. In 2010, Dr. Gross licensed the rights to use and teach the EQUOLUTION(R) method to our company based in Nevada. We decided to use Equolution as our company name too. In the last eight years, our team of horse loving experts has grown and created a network of Equine nutritionists, retired Veterinarian/educators, state-licensed Veterinarians, supplement-formulators and product developers. We offer consultation services for horse owners and businesses in the Veterinary- and horse feed-industry. We provide educational clinics, consultation, certification seminars and a small line of natural foundation formulas.